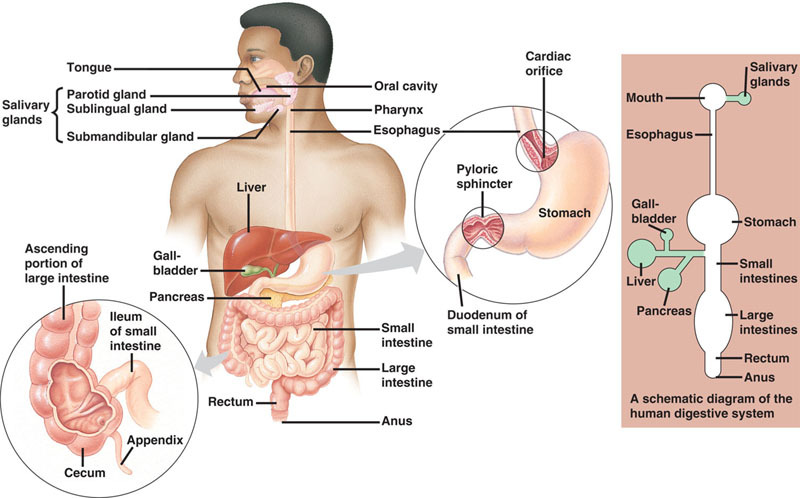 Human Digestive System -here is an excellent photo detailing how the digestive system works. The human digestive system is a complicated and impressive system. Understanding how the digestive system works helps us to eat healthier. Stay healthy by what you eat and keep your digestive system healthy. Read about Flaxseed + how Human Digestive System can Give Nutrition Your Body Craves!